The economic policies of the Trump Administration thus far have been traditionally conservative until recent events. A focus on tax reform led to some of the most sweeping changes we have seen in 30 years, and the lack of regulation coming out of the legislative chamber as well as the executive branch fits the Republican stance of less regulation and taxes, even if the claims of deregulation might be a bit exaggerated. It was a surprise to some that Trump has deviated from this free-market stance to heat up trade conflicts with other countries. Some of this is not new - in particular, China, was a target of the Obama administration in solar panel and tire tariffs. Paul Krugman in 2010 wrote a piece criticizing the Chinese government and called for tariffs and an end to currency devaluation. Whether these protectionary measures are overdue or stem from a misguided worldview by the Trump administration, tariffs are increasingly being used to "correct" trade imbalances. From an economic perspective, it is widely accepted that tariffs are a negative drag on economic growth. If we accept this premise (which we do), we must view this historically and extrapolate what negative impact this will have on growth. 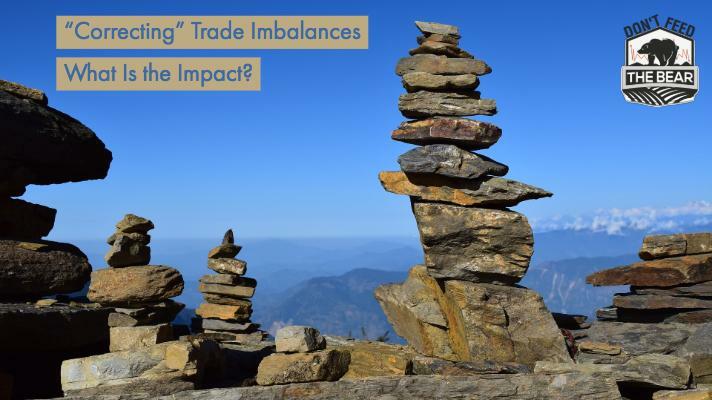 J.P. Morgan writes an informative piece where economist Benjamin Mandel describes the tariffs this way: "these are non-trivial, but also not devastating, effects for an economy growing comfortably above trend." He forecasts the tariffs to have a negative impact on GDP of about 0.25%. First Trust's Brian Wesbury estimates in "No More Kid Gloves"that the economic impact is 0.7% of GDP. Neither one of these forecast indicates a lot of positivity in the numbers, but also is unlikely to drag our economy into recession. If the tariffs are more temporary in nature we will likely see a better environment for stocks, but if they last longer and/or the trade war heats up even further, it could tamp down expectations for equities in the coming years. We still believe that stocks are attractive in the near term due to overwhelmingly positive economic news, but this is one area that we are watching closely.